Couture Bridal Photography is the most recommended and sought after boutique wedding photography studio in Miami Florida! Call and book the best wedding photographers in Miami with the most affordable wedding photography prices in Miami. Couture Bridal Photography is popular throughout Miami Florida for offering the best wedding photography described best as elegant, romantic and timeless! Couture Bridal Photography is the only boutique wedding photography studio in Miami offering brides with different needs and budgets the most affordable wedding photography prices in Miami Florida. Couture Bridal Photography was founded in 2008 by Alfredo Valentine, as professional photographer with over 25 years of experience and training in photography of all genres. Alfredo as a photographic artist was compelled to become the most sought after wedding photography studio throughout South Florida and Miami using a unique and prized style of wedding photography which incorporates photojournalism, fashion, glamour, illustrative and editorial photography to document a brides wedding with every detail, emotion and moment captured with striking detail and artistry. Alfredo Valentine created the Couture Bridal Photography brand as the beacon for all brides around the world to know they would always be receiving a customized and personalized documentation of their wedding day with prolific and spectacular wedding photos not produced anywhere by anyone. Couture Bridal Photography is now the most booked and trusted wedding photography studios with a team of the most creative and artistic wedding photographers focused solely of providing each bride with what is best described at fine art documentary wedding photography with a fashion forward, illustrative and editorial flair. This unique style of wedding photography yields prized award winning wedding pictures throughout a brides wedding day. 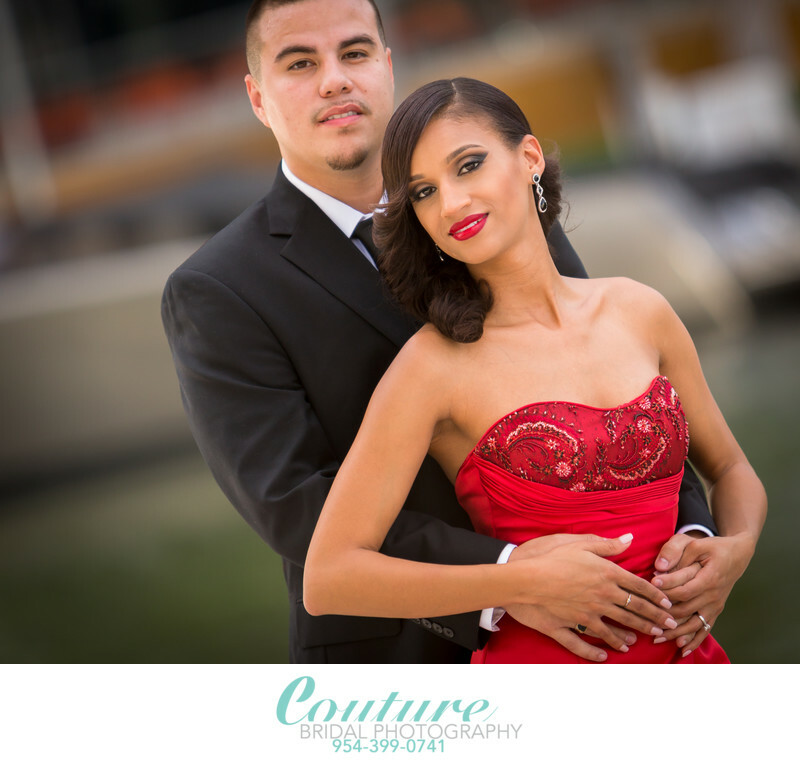 Call Couture Bridal Photography to book the best wedding photography at unbelievably affordable wedding photography prices anywhere in Miami Florida! Location: 485 Brickell Ave, Miami, FL 33131. 1/800; f/2.8; ISO 320; 200.0 mm.